Full of vitamins C and A, potassium, and fiber, grapefruits are a wonderful part of any meal. But, if you want to add a little gourmet to your typical breakfast fare, try this recipe. 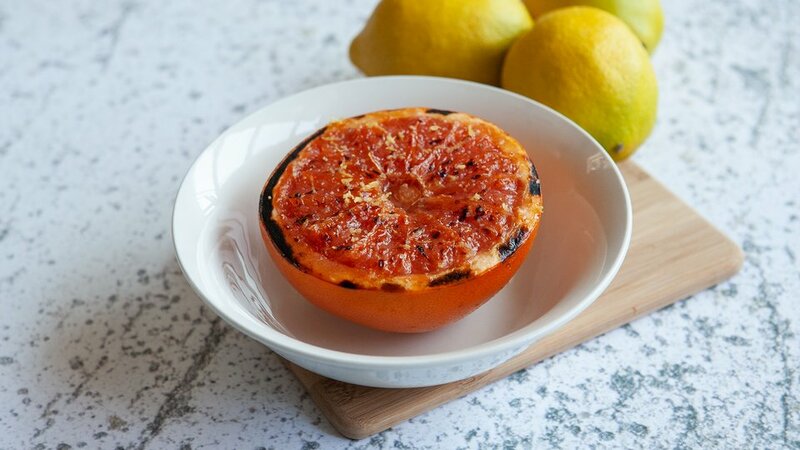 Throw a little sweet and a touch of salty to the top of broiled grapefruit, and you have yourself a treat you can look forward to. Slice or separate fruit from rind, but don't remove fruit. Combine coconut oil, honey, and vanilla in a small bowl. Brush grapefruit with mixture. Place grapefruits on baking sheet and broil for about 6 minutes. Remove from oven and sprinkle with sea salt and lemon zest.